You can see there is a WooCommerce “Sale” icon/badge on every product category. This doesn’t look very good and the client was like WTH man! Here’s what I did to remove them. Place this bad boy in your custom functions plugin or theme’s function.php file and you should see the Sale icon disappear. Now, that’s better! I’m sure the filter above could be modified to conditionally remove the Sale icon. 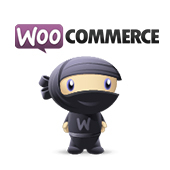 This method works in removing the WooCommerce sales flash. I suggest using this only if the method above isn’t working for some reason. I say this because removing the action completely may break another plugin’s functionality if it ties into this action. Thanks to BrakeConnect in the comments for the following code. If this has helped you or your situation is slightly different please tell is in the comments below! Thank you Sir! That badge was driving me nuts! No problem! Glad it helped you… that’s why I posted it! I just wondering can you modify the template so it will show out of stock badge like sale badge above when the product is out of stock? I have not heard of this functionality but I’m positive it is possible… whether or not it is included by default, I am unsure. Inspired some further investigation resulting in a quick way to utilize the Sales Item Flash even further. You can also just set the sale times for each item as a past date, then the sale goes away and they won’t reappear because the sale “already happened”. I work in a store where we may have sales in the future, so this was the best solution for us. Hey, I’m new at HTML and all these things… where should I put the code? I tried on the CSS box o my theme settings, but it does not work. Can you help me please 🙂 ? I put this in my function.php on my wordpress and it appears me an error 500 and now i can’t do anything, someone can help me? Thanks for the code, took away some stress! No problem Tony! Here to help. Thanks for the code, it was helpful. hi, can we edit the word ‘Sale’ to Discount?.. I think that sounds better to my products.. But I wouldn’t have gotten this far without your post, so thanks! I added this bit of code and have since removed it. The problem is it is showing at the bottom of my website on the front end. Can you offer any way that I can remove it? Hi Dave, can you provide a link to your site so we can take a look at the problem? Hey you should search your theme files for that line of code (most likely in the footer or functions.php files) and remove it then update the file. You should backup first if you are unsure of any changes or are unfamiliar with code. I hope this helps! Worked like a charm on Virtue WordPress theme. Is it possible to make this icon navigate to custom link? Exactly what I was looking for, thank you! It’s however not working for WooCommerce Simple Auction product type auction icon. Any thoughts? Thank you. This is what I received from Simple Auction support: If you want to remove this, you need to copy all files from plugin_dir/templates to your_theme/woocommerce and then edit file your_theme/woocommerce/loop/auction-bage.php and comment out all code there. I’m not exactly sure what the last part of this means. Does this help at all? Yeah, he’s saying just copy the plugin’s template file to your theme and remove this code displaying the badge. This will ensure you are compatible with updates as you are not modifying the core plugin files. Method 1 worked for me. You are the man! I used custom css method to remove sales text but now green dot is still there. How to get rid of that? Thank You very much! Still work me! Nice tips its working nice.